The Armenian community in Argentina, along with a large number of human rights organizations and political parties, marched on Tuesday night April 28 to the residence of the Ambassador of Turkey to commemorate and seek justice for the Armenian Genocide Centennial. The traditional gathered more than 10.000 people and was attended by Adolfo Perez Esquivel, human rights activist and Nobel Peace Prize, Archbishop of the Armenian Apostolic Church Kissag Mouratian and Buenos Aires Legislator Pablo Ferreyra, along with all the leaders of the institutions of the Armenian community and a lot of young people, children and elderly people carrying candles, flags and posters. Estela de Carlotto, president of Abuelas de Plaza de Mayo, could not go and sent an adherence. Adolfo Perez Esquivel, who was part of the judges of the Permanent People's Tribunal, an organization that recognized the Armenian Genocide in 1984 and promoted its subsequent recognition by other international organizations, said that "the memory can't stay in the past. 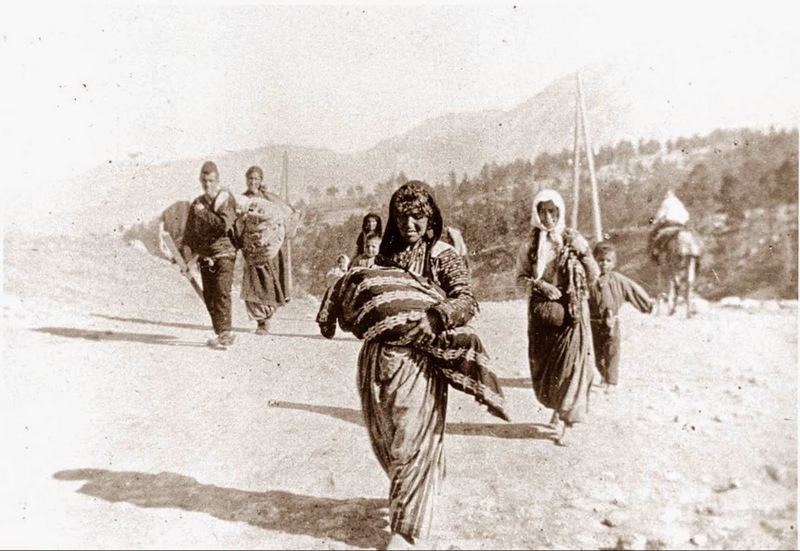 Memory has to illuminate the present" in reference to the "Armenian Genocide Centennial." "In a few days, I will travel to Rome and I will meet with Pope Francis. I'll tell him about this rally," he concluded, receiving the cheers from everyone. "Once again we are marching to the residence of the Ambassador of the State of Turkey, as part of the struggle we have been carrying out a century ago the descendants of the victims, for the recognition, repair and conviction of those responsible: the Turkish state, and all those countries who collaborated before, during, and after the genocide," said Razmig Nalpatian, in representation of the Commemorative Commission of the Armenian Genocide Centennial on behalf of all institutions of the community. "In our country, human rights organizations, led by our Madres and Abuelas de Plaza de Mayo, who fighted relentlessly for nearly four decades for memory, truth and justice, gained victories that put us at the forefront in the matter of human rights," he said in his speech. "We are aware that Turkey is not alone in carrying out the last stage of genocide: Denial. Its main partner is the Republic of Azerbaijan," he added. "We wonder how different would have been the history of the twentieth century if the genocide against the Armenians had not gone unpunished." 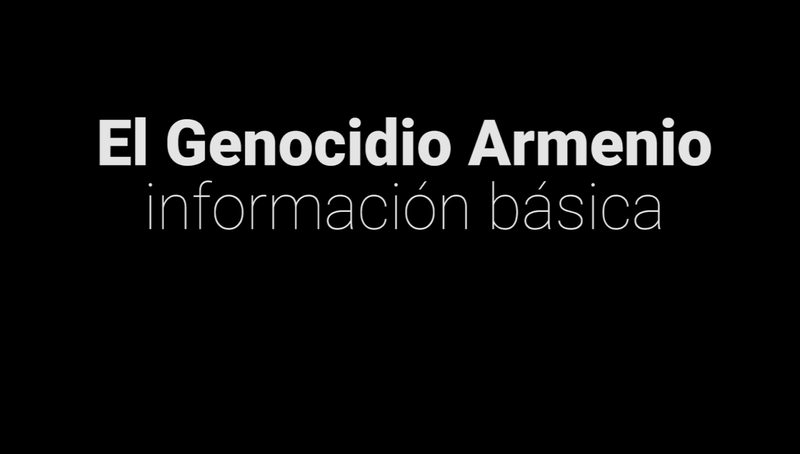 "Our country has recognized the Armenian Genocide by all three branches of government," said Aram Ter Akopian, member of Armenia Youth Federation of South America, one of the organizers of the march. 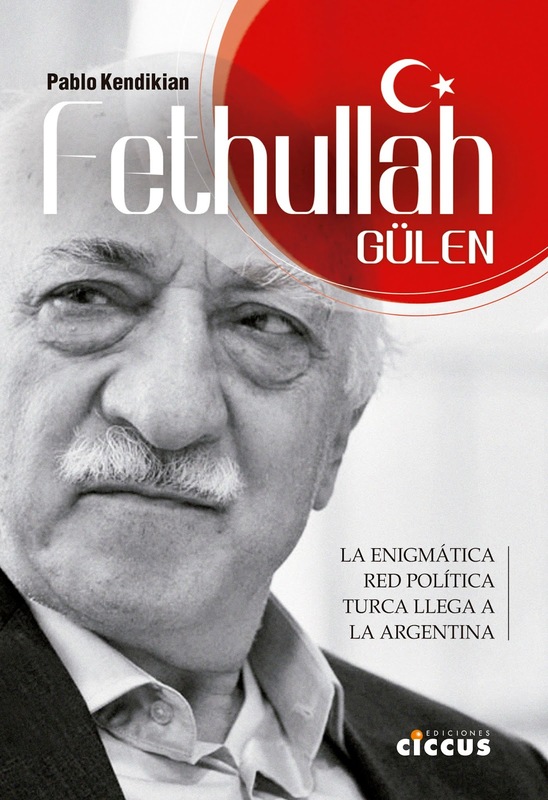 "In 2006 the Congress passed Law 26,199 declaring all April 24 as 'Day of Tolerance and Respect among Peoples' and in 2007 the executive branch, headed by President Nestor Kirchner promulgated it. On the other hand, in 2011 the judiciary established that the Turkish State 'committed the crime of genocide against the Armenian people'", added Ter Akopian. Andrés Ohanessian, member of Liga de Jovenes of the Armenian General Benevolent Union, said that "the force that had the recognition of Pope Francis led many people to mobilize worldwide." The main event at the Luna Park stadium will be held on Wednesday 29, with the leading of the renowned journalist Alejandro Fantino and a presentation of the artist Jairo, who will perform songs of Charles Aznavour. To access the free photo archive click here.